Not far from "Reaching" yesterday, is Celestial Earth. 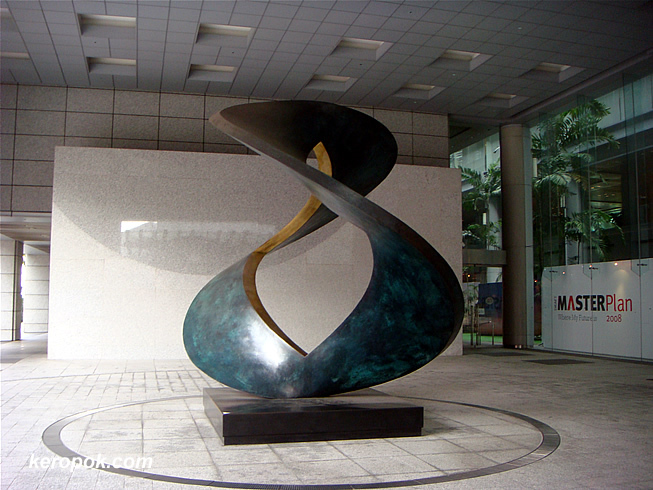 Celestial Earth is located at the URA Centre. 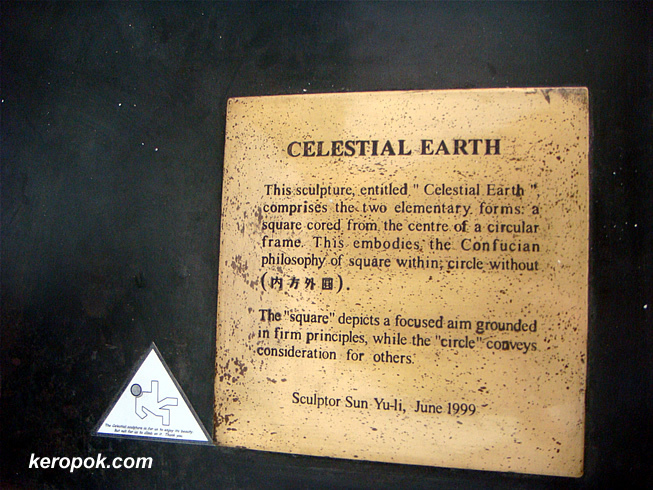 That is a superb sculpture...and thanks for the "Celestial Earth" info as it helps us to understand what the artist means for us to understand. Im from the Philippines and I absolutely love Singapore (I make it a point to visit annually). Your site keeps me updated as to what's happening and makes me miss Singapore more or less, depending on the situation.